It is a gift I have personally enjoyed – and continue to practice twice each day. For adversity, even in lesser form, can be frustrating and even painful. Take writer’s block, for example. In the ten years after I wrote The Emotional Revolution, I wrote no other books. In fact I resolved never to write another book because it was too difficult and burdensome. Then I restarted my regular practice of TM – and that made all the difference. In the past five years I have written 3 books and edited a fourth. How could such an apparently simple process as TM have resulted in so dramatic a turnaround? 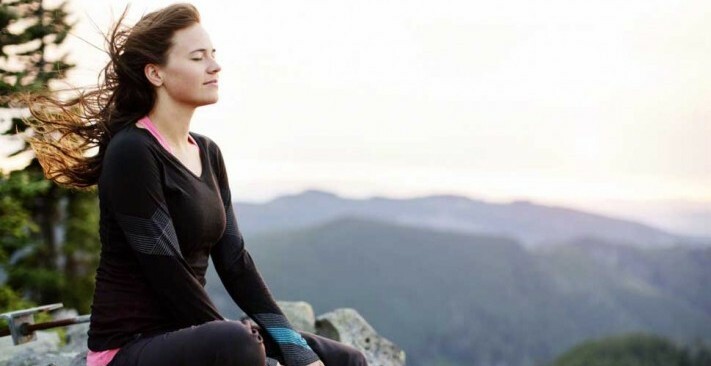 The answer, I believe, results from the profound changes in both brain and body that occur when we meditate regularly. The soothing fluxes of aIpha rhythms and EEG coherence between different brain regions are associated with diving deep into the self and thinking clearly. The body settles down and is less liable to seek distraction in its restless quest for quick gratification. One word sums this process up – Transcendence. That was the name of my last book and that book and that state of consciousness gently led me to my new book – The Gift of Adversity. How can adversity be a gift? In what form does such a gift appear? Most important, perhaps, what can we do to transform life’s adversities – a bond we all share with one another – into gifts rather than feeling overwhelmed by them? See the links below for more information about my new book. It is a collection of stories gathered over a lifetime, from my own experiences and from those amazing people whom I have been privileged to meet along the way. To see an excerpt of the Gift of Adversity in video form, please click, The Thumbs Must Go. Below is a video interview with Bobby Roth, executive director of the David Lynch Foundation. In this video I explain what adversity is, as well as offer my most powerful story about adversity and how it changed my life forever. 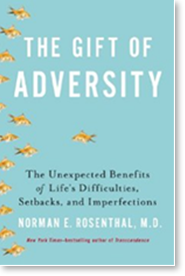 For a limited time I am offering some free gifts to those who wish to support me by pre-ordering my book, “The Gift of Adversity.” Please visit this page to find out more: Norman Rosenthal, Bonus Offers. Dr. Norman E. Rosenthal is the world-renowned psychiatrist, researcher and best-selling author, who first described seasonal affective disorder (SAD) and pioneered the use of light therapy as a treatment during his twenty years at the National Institute of Mental Health. A highly cited researcher, he has written over 200 scholarly articles, and authored or co-authored eight popular books. These include Winter Blues, the New York Times bestseller Transcendence: Healing and Transformation through Transcendental Meditation. Dr. Rosenthal also serves as clinical professor of psychiatry at Georgetown University School of Medicine.